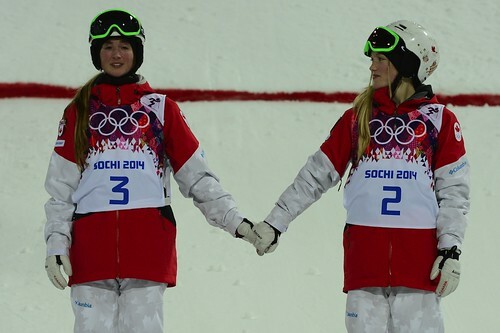 Chloé Dufour-Lapointe has won silver for Canada in the women's mogul event at the Sochi Olympics. Imagine if all 3 sisters had been on the podium. That would be Olympic Folklore for decades to come! As it is it is still an unbelievable achievement. I wonder if any other siblings have ever shared the podium?